Did you know that there are about 7.5 billion people living on Earth right now? That's a pretty mind blowing number. Something even more mind blowing? Facebook has 1.32 billion active daily users. That means, about 17.5% of the world's population logs into Facebook every day. We have Facebook on our phones, our tablets, and our computers. We're connected to it from the time we wake up to the time we go to bed. That means your ideal customers are connected to it too. If you want to get in front of homeowners who may need a new roof, Facebook isn't a bad place to start. In this article, I'll be showing you how to grow your following, get more attention, and get more roofing jobs from Facebook. The first way to get more Likes on your Facebook Page is pretty straight forward. You'll want to fill in any missing information and details on your Page. You can add a lot of info to your Facebook Page. Almost everything that's on your roofing company's website can go right on your Page. Content like your About Us story, the areas you serve, details about the owner, contact info, and so much more. To edit your Facebook Page, just follow the steps above. Fill in all relevant fields to make sure a visitor to your Page can find all the details they're looking for. A lot of Facebook's appeal comes from the variety of photos and videos available right at your finger tips. You can get a lot more engagement on Facebook when you share interesting photos and videos on your roofing company's page. A simple strategy is to post photos or videos of recently finished projects. A drone is a great little gadget to keep in the truck. You can get one, like the DJI Spark, and start taking professional quality footage and photos of your roofing projects the next day. And as a bonus, they're pretty fun to play around with! Asking those you know to like your page is pretty simple. Just send out your Facebook Page link to whoever you want by text, email, or Facebook Messenger. We can also take it one step further and automate the process. There are a few ways you can leverage things you're already doing to get more Facebook likes. Just think about where your customers are interacting with you online, and make sure that a link to your Facebook is placed in an easy to find area. The majority of people are on Facebook for entertainment. Most of us don't go on Facebook to find a mechanic or a chiropractor. When you look at it like that, does it make sense to make a post about getting a free roofing estimate? It probably won't get a good response. Remember, people aren't on Facebook to buy anything. Try providing some value and entertainment to your potential customers instead. A free PDF guide that your audience can download is a great way to provide value. Create a "Pre-Winter Roof Inspection Checklist"
Not the best writer? No worries. You can hire a professional writer to create any kind of content you want for less than you'd think. Upwork.com is a great place to look for talented writers who can crank out some amazing roofing content. You can have a full guide written for less than $100. Putting out valuable content gives you the advantage of being seen as a teacher and an authority figure, instead of just a contractor. This level of positioning will let you close deals easier and charge more per job than you otherwise could. 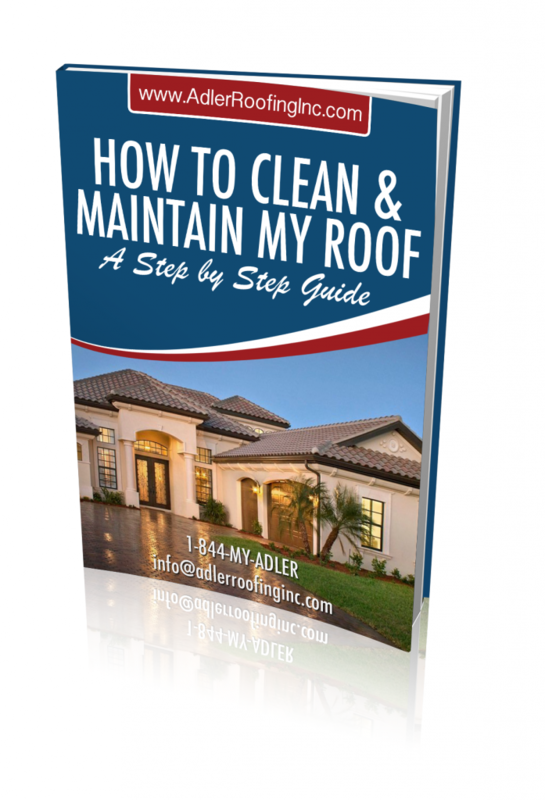 Creating an e-book or a free guide is a great way to take your roofing company to the next level. Imagine for a minute... that the typical roofing company's Facebook page was magically turned into a person. That person could only say what's been posted on the page. He'd most likely be saying "Call us today for your free roofing estimate" and "No job is too big or too small" over and over again. Not the most interesting fellow to be around, is he? It's much better to provide valuable information and have a conversation with your audience. Asking them questions is a great way to go about this. A very powerful approach is to ask your audience who they know that's encountered some hard times and needs a roof repaired or replaced. They will share the post and tag their friends. A little bit of charity can do a lot of good and go along way in getting the word out. "Who do you know that needs a roof repaired or replaced but can't afford it? We're looking to give back and help someone who is encountering some hard times with their roofing problem." Many roofing companies have been able to get attention for their acts of kindness including getting on the local news. Something to consider if you've had a good year and want to give back. The last few tips were about finding or creating content your audience will want to engage with. Engaging content helps you increase the number of fans you have by showing your content to more people. Each time someone likes, comments on, or shares one of your posts, Facebook shows this action to some of their friends. And those friends may like or comment on your valuable content too. Anytime someone likes or comments on your content, you can invite them to like your page. To do that, just go to a recent post with some engagement on your page. Click the names who have liked the post. You'll see a list of people who have like your post. If they don't already like your Facebook Page, you can click the Invite button. Those people will then get an invite to like your Page. They already liked the content you shared, so they're more likely to accept your invite. Want to hit the EZ button and speed up the whole process? You can do that by running a simple Facebook ad to promote your roofing company. There's a few steps involved in putting that together. So I'll show you how to do that in a video where you can watch my screen and follow along. The video above is taken from my video training series on how to generate commercial roofing leads, but it works just as well for residential leads. If you follow the steps in that video, you'll have your first ad up and live in under an hour. And there you have it! 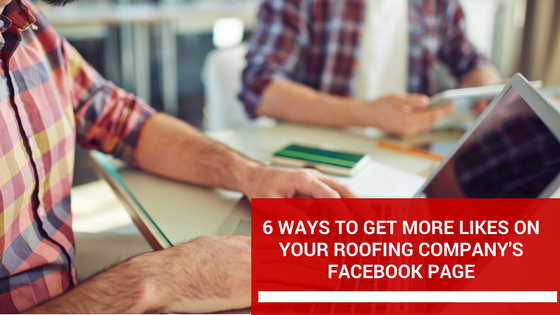 You're now on your way to turning your roofing company's Facebook page into a lead generating powerhouse. Want some help getting more roofing leads for your roofing company? If you're serious about growing your roofing company, I invite you to schedule a Free Roofing Blueprint Session with me. It's a 45-minute call where you and I will put together a blueprint that will take you from where you are to where you want to go. At the end of the call you'll walk away with a strategy that you can implement to start generating more roofing leads to fuel your growth. 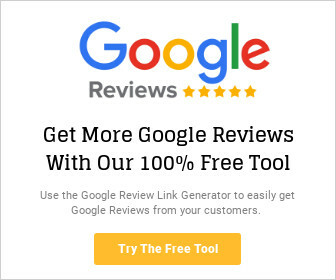 I've been helping roofing contractors get more leads from the internet for over 8 years. 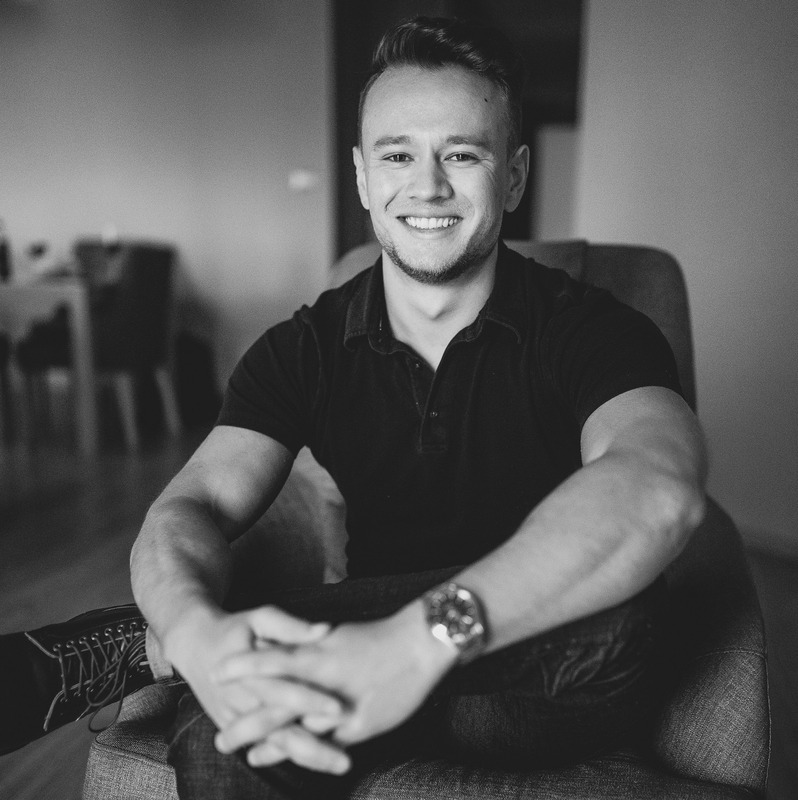 In 2015, I co-founded a roofing company that grew to $180,000/month in sales in just under 5 months using the lead generation strategies I cover on this blog. 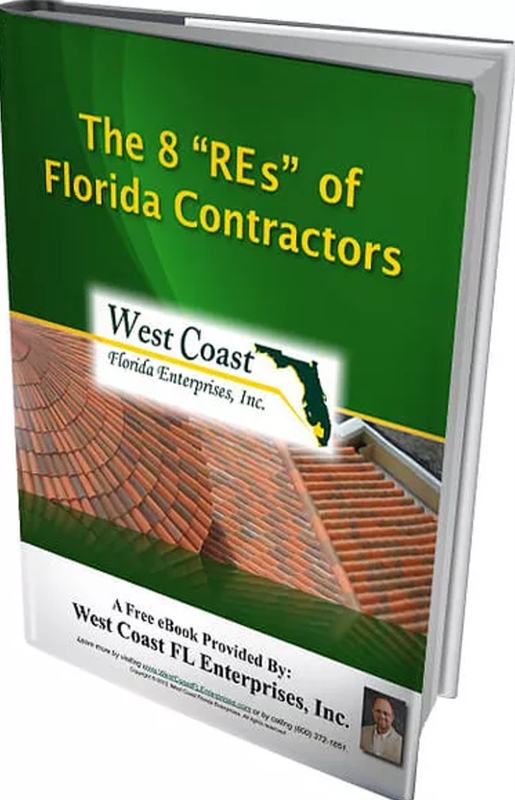 Growing a new roofing company with internet-generated leads showed me that any contractor could do the same if he just followed a proven process. That's when I decided to launch RoofEngine and share what I've learned with roofing contractors across the US.